Fish feed on real crabs, and they'll feed on the DOA Softshell Crab. DOA Softshell Crab lures came about because local fishermen kept finding small crabs inside so many of the fish they cleaned. 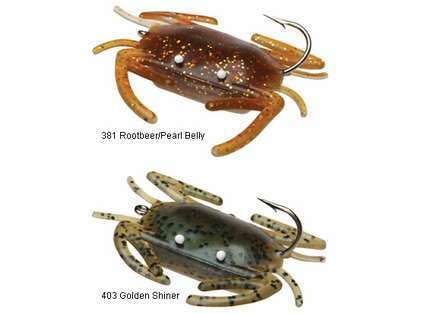 Other fishermen confirmed these findings and DOA Lures knew that if the fish were feeding on real crabs, they would feed on their Softshell Crab. DOA Crab Lures have caught everything from red drum to permit, tarpon, snook and even bass. Try one. Walk it sideways across the bottom or swim it slowly in the current. This lure can be crept slowly across potholes or slid right across the surface for that topwater strike. You'll be pleased with it's lifelike swimming and feeding action and you'll be in for some great fishing fun. Light & Medium Spin ( 4-16 lb. test ): Slow retrieve gives the Softshell Crab a lifelike swimming action. Try a medium retrieve followed by a 5 second stall. Current or Fast Water: Cast up current, keep slack out of line with a steady retrieve to have the crab swim to the bottom. Casting cross current or down current allows the crab to swim near the surface. Structure or Heavy Grass Fishing: Cast as close to the structure or to the edge of a grass flat as possible. Let the DOA Softshell Crab settle to the bottom and move slowly along the edge of the clear bottom. Drop Offs: Cast into shallow water and retrieve slowly followed by brief stalls to allow the crab to follow the contour of the drop off. I used this crab last fall with doa promotion. I ttied sevral times in wrek fishing. it is proving togging with fake bait. 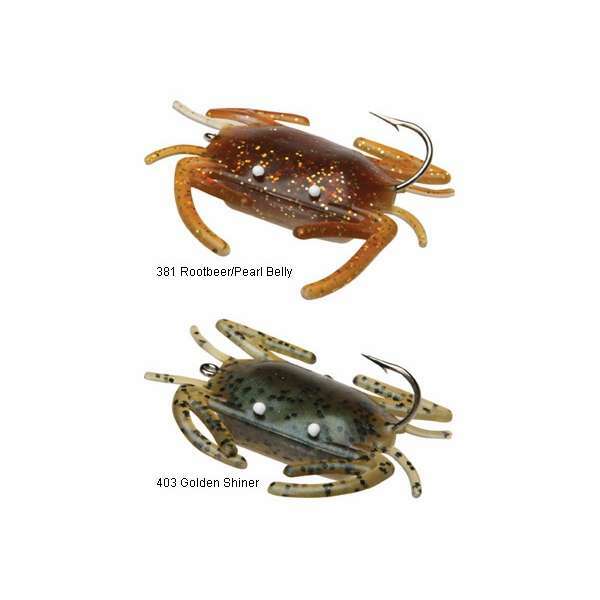 Match to andrus green crab jig. it works for tauto fiahung. Ordered this for a Florida flats fishing trip. One little crab showed up !!! No luck on reds just a Bonnethead Shark. The crabs are about 3" long.